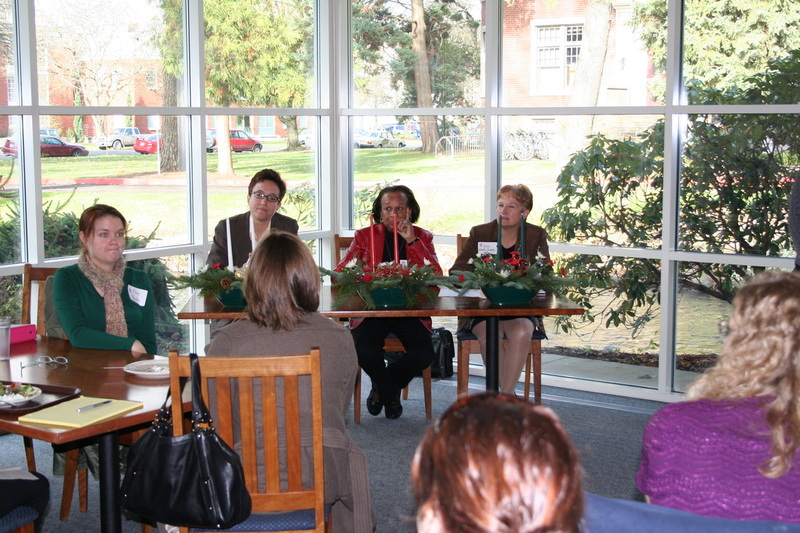 Panelists presenting at the networking event were, from left: Vanessa A. Nordyke, assistant attorney general in the Trial Division at the Oregon Department of Justice (DOJ); Debra Ringold, dean and JELD-WEN professor of free enterprise at the Atkinson Graduate School of Management at Willamette University; Martha Pagel, shareholder and leader of the environmental, energy, and natural resources practice group at Schwabe, Williamson & Wyatt; and Stephanie Palmblad, associate attorney with Collier Law. 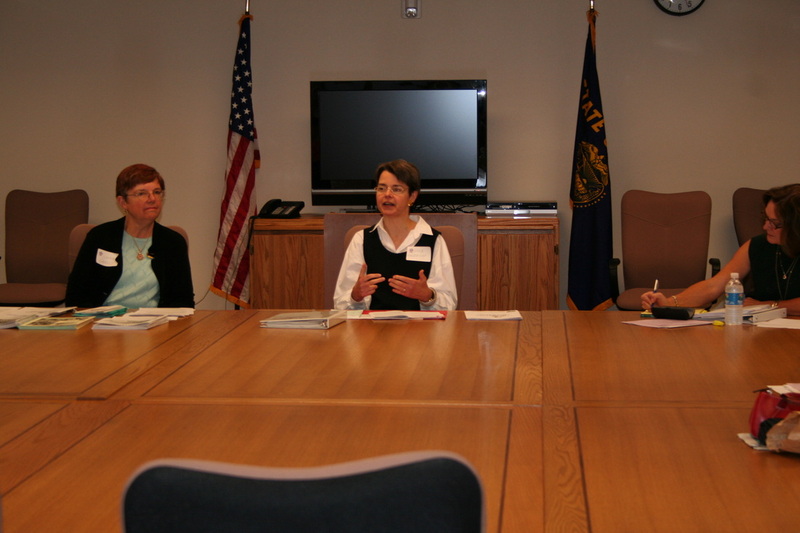 A large group attended the networking panel presentation, which was held at the Oregon Civic Justice Center in Salem. This fall, OWLS offered several events designed to help women advance their careers, including a salary-negotiation workshop and a rainmaking dinner. 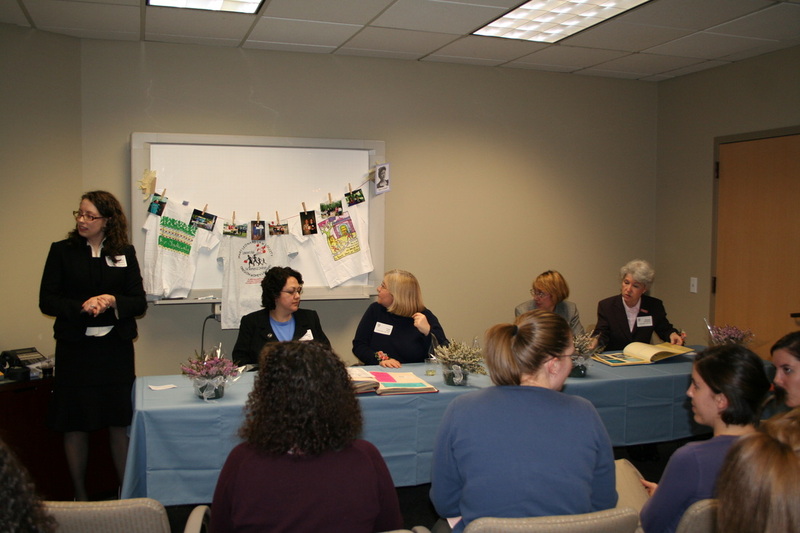 The Mary Leonard Law Society (MLLS), the OWLS chapter in Salem, joined the conversation with a panel discussion of tips and strategies that women can use to network and market effectively. 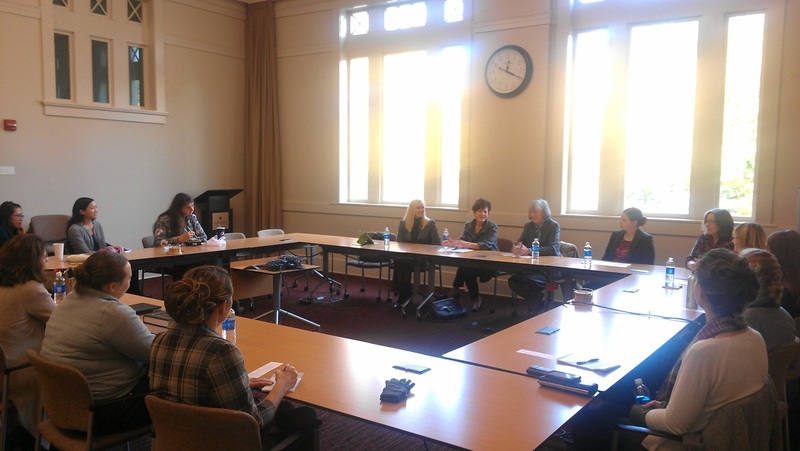 On October 24, MLLS, in partnership with Willamette University College of Law, welcomed a distinguished panel that included women in diverse practice areas and with varied levels of experience: Martha Pagel, shareholder and leader of the environmental, energy, and natural resources practice group at Schwabe, Williamson & Wyatt; Debra Ringold, dean and JELD-WEN professor of free enterprise at the Atkinson Graduate School of Management at Willamette University; Vanessa A. Nordyke, assistant attorney general in the Trial Division at the Oregon Department of Justice (DOJ); and Stephanie Palmblad, associate attorney with Collier Law. Martha Pagel has enjoyed 30 years in the practice of law, including work in both the public and private sectors. Before attending law school, Martha worked in the construction industry and as a newspaper reporter. She began her legal career in state government and subsequently transitioned to private practice, at which point client development and marketing became critical. Martha joked that one of her colleagues describes her as the “water queen” because she is a former director of the Oregon Water Resources Department, but Martha explained that she has used that unique expertise as the focus for her business development efforts. Above all else, she emphasized the importance of doing excellent work and developing a great reputation. Creating a business plan was essential to Martha’s successful transition to private practice. To create a successful business plan, Martha recommended considering your potential clients as well as the size and scope of your firm. It may be helpful to review business plans written by other attorneys or consult a mentor or role model. Martha identified a lack of thoughtfulness in business development as a pitfall to avoid. She encouraged attorneys to consider their preferred practice setting and find an approach that works. If you do not want to engage in marketing, you may want to consider work in the public sector or for a nonprofit. Debra Ringold studies marketing from an academic perspective as a dean and professor at the Atkinson School of Management. She instructed the group on the fundamentals of marketing and resource strategy theory. Debra discussed the three steps of marketing strategy. First, consider what you have to offer to the market; the market values demonstrated competence. Second, identify who in the market cares about what you do, who will be loyal to you, and who will compensate you—that is your audience. Third, identify your competition, not because you need to compete with them, but because they are the alternative to you. Clients want five things: (1) reliability, (2) responsiveness, (3) expertise, (4) empathy, and (5) physical presence. Debra does not believe in self-promotion or advocate selling yourself. Others, she explained, are not interested in your doing well for you. Successful people go to the marketplace and ask what they can do for others; the money will follow. Debra observed that people respond to authenticity and appreciate those who are comfortable in their own skin. That being said, she acknowledged that it takes a long time to develop confidence. She encouraged the audience members to be introspective as they grow in their professions. Before attending law school, Vanessa Nordyke, now an assistant attorney general at DOJ, considered a career in the Foreign Service. She began building a political career, working with U.S. Senator Ron Wyden and with the first female governor of Puerto Rico. Political campaigns required Vanessa to spend hours knocking on doors and selling the candidate or the campaign. Rejection was part of the job, and she quickly developed a thick skin. Stephanie Palmblad, an associate specializing in estate planning, is a newer member of the bar and a self-described “K through JD,” so she entered the practice of law with less work experience than some of her peers. Stephanie emphasized the importance of becoming a visible member of the community and providing a positive experience to her clients. To build her network, Stephanie has given seminars on estate planning and has joined community groups such as the Salem Young Professionals. Stephanie provided practical tips for networking and cautioned against one-sided conversations about your kids, pets, hobbies, or other interests. Instead, she recommended sharing a little bit and following up with a question. Stephanie and Vanessa agreed that some people have difficulty taking young women seriously. Vanessa recalled times that she was mistaken for a secretary or a waitress; some people are not inclined to think that a woman may be an attorney. Vanessa believes that it is important for others to see women as professionals and as leaders; she serves on volunteer boards and bar committees. Stephanie has encountered clients and attorneys who, initially, did not take her seriously because she is a young woman. She combats those initial impressions by demonstrating her knowledge of estate planning. Several themes emerged during the panel discussion. The panelists all agreed that it is essential to develop a reputation for excellence. Debra observed that your brand is your reputation and your reputation is everything. The panelists all expressed some discomfort with receptions and cocktail parties, agreeing that such networking events can be intimidating, but are a necessary evil. Martha and Stephanie both recommended giving educational seminars as an alternative to networking socials. The panelists agreed on the importance of finding networking and marketing opportunities that are comfortable for you and fit your personality. 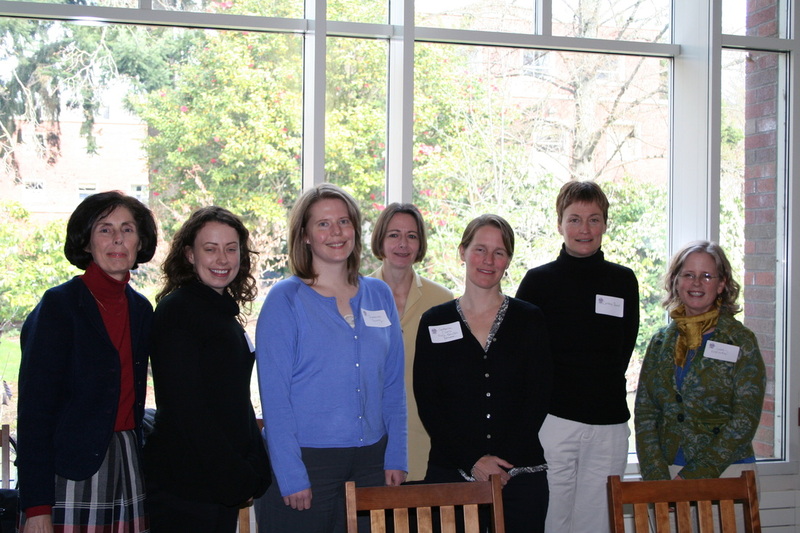 February 20, 2008: MLLS past presidents after-work social hosted by Saalfeld Griggs, PC. November 13, 2007: Barbara Blackstone, Blackstone Associates, discussed how women can more effectively negotiate for themselves and their careers. November 13, 2007: Barbara Blackstone, founder and principal of Blackstone Associates, is a skilled mediator with extensive experience in identifying and analyzing conflict issues and developing appropriate resolution systems. Blackstone has been a mediator since 1987, and has provided conflict resolution services in public, private, non-profit, and academic settings. While at the Minnesota Office of Dispute Resolution (1995-2003), Blackstone developed and implemented the state's award-winning Workplace Mediation Program that focused on resolving issues before they escalated into formal complaints or lawsuits. Since moving to Oregon in 2003, Blackstone has been an active mediator and facilitator with private clients, community and court-connected programs. 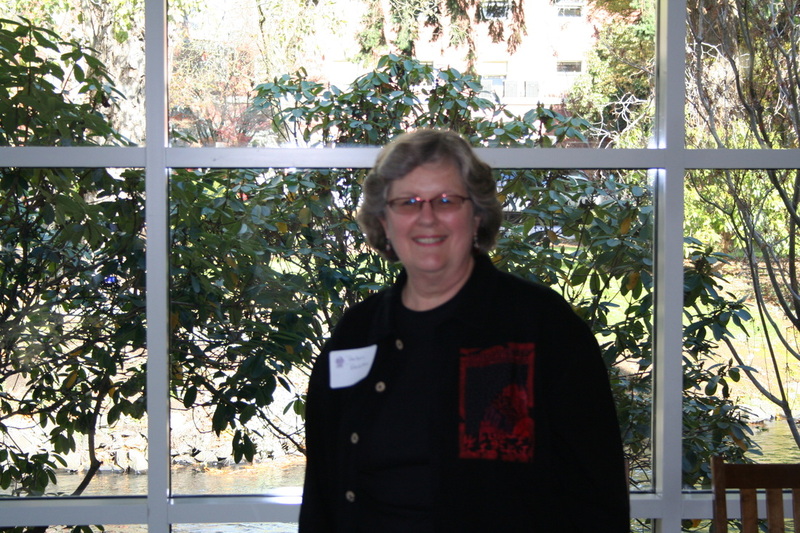 She is currently an adjunct instructor of negotiation and conflict management at Marylhurst University. Blackstone serves on the Board of the Oregon Mediation Association (OMA), is a member of the Association for Conflict Resolution (ACR) and an associate member of the ADR section of the Oregon State Bar. Jo Smith is Founder and President of JoSmith Associates (JSA), which she formed in 1992. Clients include the University of Oregon School of Law and private law firms, as well as individual professional service providers. Project Director, U.S., directing multi-million dollar projects with multiple sites. Managing Consultant, Los Angeles, managing business unit profitability and quality and leading team of professional consultants and staff. Center Manager, U.S., managing and delivering on-site services at company locations in Oregon, Texas, Washington, and California. Jo earned a Bachelor of Science degree in Marketing and a Certificate in Human Resource Management from Portland State University (PSU) where she was named Marketing Student of the Year and inducted early into Beta Gamma Sigma, the national honor society for business students. 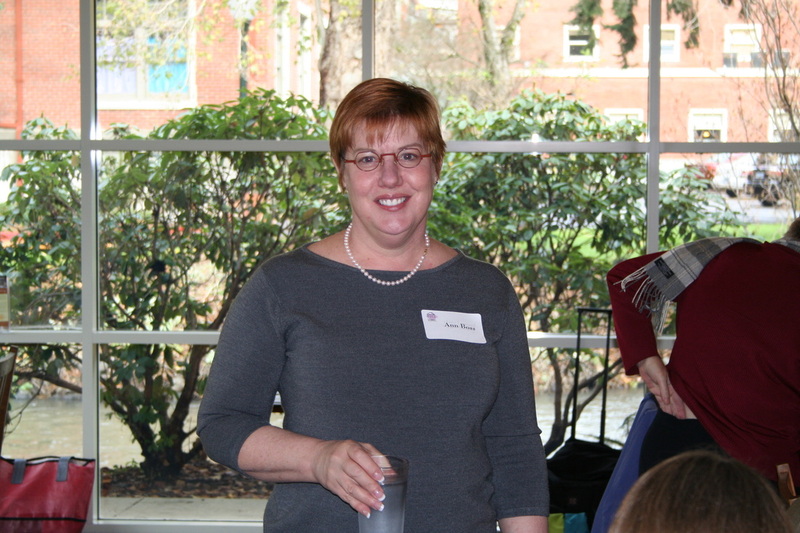 She is a Past President of the PSU Alumni Association and of the Oregon Chapter of the American marketing Association. 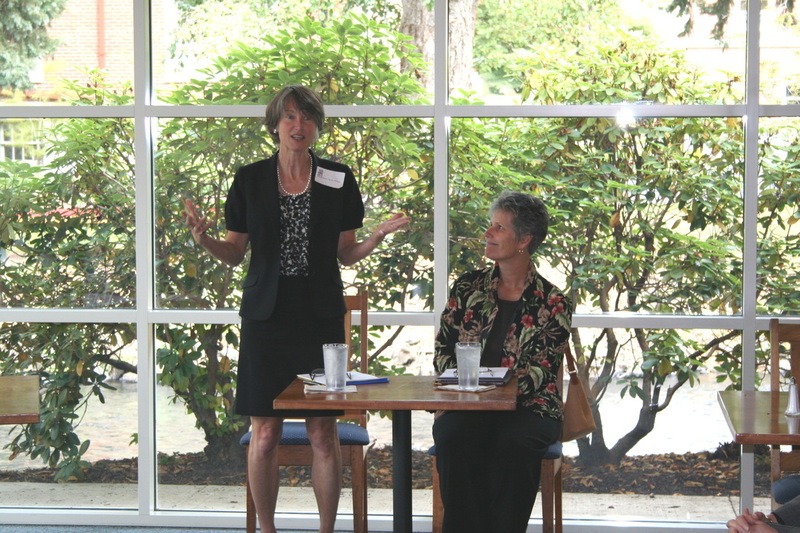 September 13, 2007: MLLS and League of Women Voters hosted a CLE on the Oregon Judiciary: Historical Overview and Future Challenges, with Barbara Fredericks, Susan Gangle, and Judge Mary James. 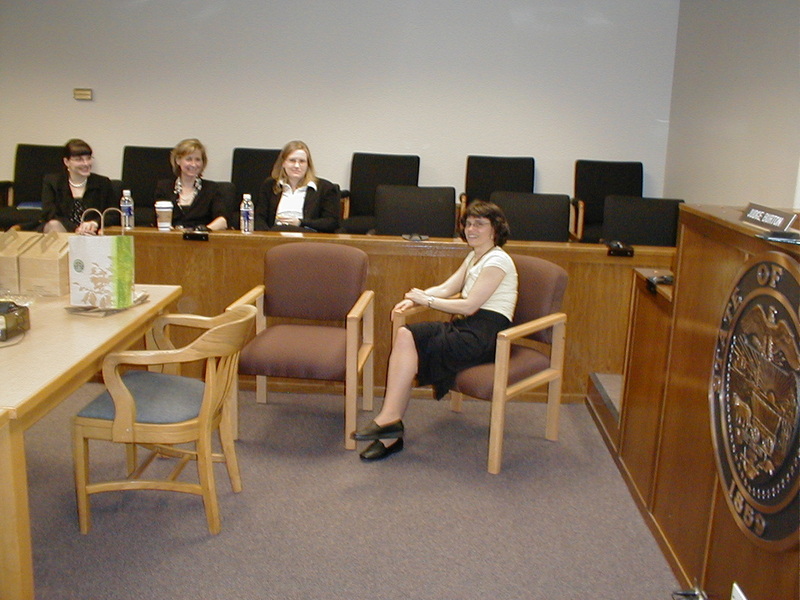 May 15, 2007: MLLS monthly meeting with Julie Forbes, Judicial Assistant. 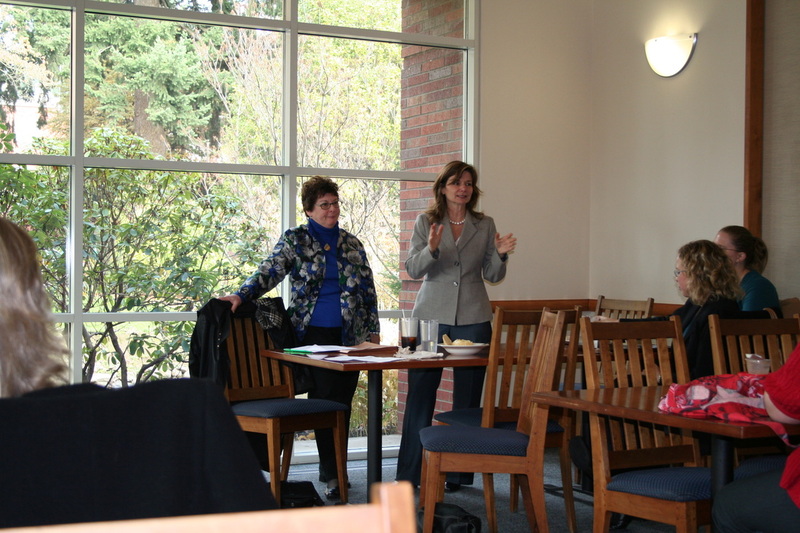 May 15, 2007: Julia Forbes, Judicial Assistant, spoke at the MLLS monthly meeting. April 19, 2007: The Oregon Constitution: History and Process and The View from the Bench with Joe Stephens, State Law Librarian; Claudia Burton, Professor Emeritus, Willamette University College of Law; Judge David Schuman, Oregon Court of Appeals; Chief Justice Paul De Muniz, Oregon Supreme Court. 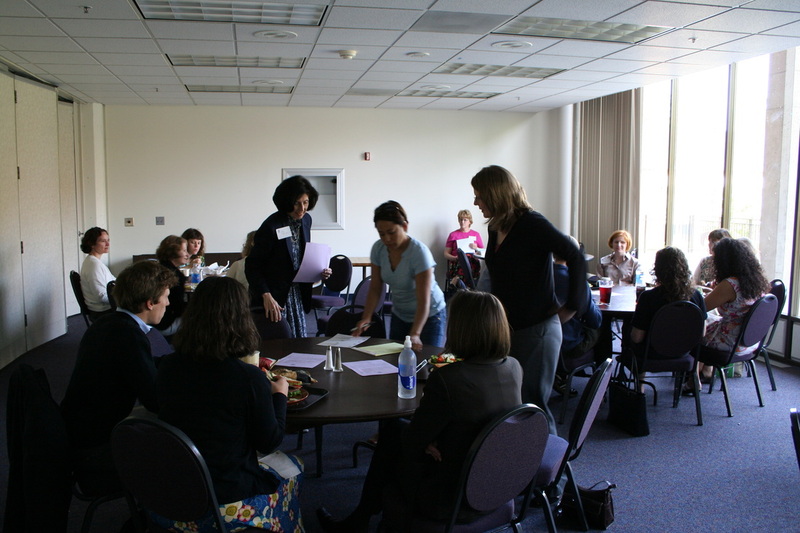 On April 19, 2007, in what we hope is to become a long tradition, the Mary Leonard Law Society held its annual CLE in the State of Oregon Law Library on the second floor of the Oregon Supreme Court building. Ancient law books were set out in wonderful displays around the library for participants to look at before the program started and during breaks. The speakers gave their presentations from the middle of the room, leaning comfortably on the low bookshelves. London for $10 to $50 by a former State Law Librarian who enjoyed traveling and searching bookstores for old books. Willamette University College of Law Professor Emerita Claudia Burton then spoke about the "Process and Content of the Oregon Constitution." She spent two and half years immersed in mid-19th Century Oregon, finding out how our state constitution was adopted, what represented the major issues of the time, and what the historical record suggests is the best way to interpret the constitution. She noted that in the 1850s, local voters called the question of Oregon statehood three times before voters said yes, in 1957. On August 17, 1857, 60 delegates convened in Salem, and for four and a half weeks, in morning, afternoon, and Saturday sessions, hammered out a constitution, which was approved by the voters on November 9. On February 14, 1859, the constitution and petition for statehood was approved by the President. Professor Burton spoke of how the convention worked and how each article was drafted. She noted that economy was very important to the delegates, who doubled up jobs for state officials and set salary limits. For example, the Governor would also serve as the Director of Education. Race was also hotly debated, although the issue of slavery was not discussed at the convention. Once the constitution was drafted, the delegates made sure that the voters knew what they were voting on, printing and distributing 5000 copies around the state, and offering $50 to any newspaper that would print the entire constitution in one issue. The constitution was passed 7000 to 3000. Next, Oregon Court of Appeals Judge David Schuman spoke about "The Court's Role in Interpreting the Oregon Constitution." He pointed out that many cases in the last few years have issues which implicate the Oregon Constitution but not the Federal Constitution. For example, did the initiative to amend the Oregon Constitution to ban gay marriage make two or more changes that were not closely related? Or, does the opening of a garbage can or bag by a police officer violate a constitutional right? What if it is opened by the garbage collector at the direction of a police officer? Judge Schuman noted that 172 out of 185 sections of the Oregon Constitution are copied verbatim from other state constitutions. Most of the sections newly drafted by the delegates dealt with racial exclusions or monetary clauses. He observed that the delegates came close to requiring juries to find both facts and law, in order to avoid a "judicial monarchy." He also explained how a state constitution can trump the U.S. Constitution in such areas as free speech. Finally, Chief Ju s t i ce De Muniz spoke of the importance of "An Independent Judiciary." He opened with a quote from Roscoe Pound, that "dissatisfaction with the administration of justice is as old as law." He remarked that the courts are not above criticism, and that independence is only justified when judges follow the law, are good stewards of resources, and are mindful of their limited role under the constitution. However, he noted the present threat to the independence of the judiciary, characterized by three things in particular: 1) the unprecedented level of attacks on the judiciary, including the fact that the attacks are more "vertical" than ever, in that the attacks come from politicians in the highest levels of office to the local groups calling for the recall of a judge because they are unhappy with the way she ruled on a case, 2) the influx of special interest money into state election campaigns, and 3) the loosening of ethical constraints on what judicial candidates may and may not say about cases likely to come before them. Such developments blur the line between judicial accountability and political accountability. The former is "faithfulness to the principles of fairness, impartiality, and equal treatment under the law." Justice De Muniz also spoke of the importance of improved civic education, and educating the public about the important role of courts in our system. He stated that after the current legislative session, he plans to begin a discussion with the public about how judges are selected, and pointed out that at the recent Judicial Conference the judges had adopted a "Best Practices" guide for judicial campaigns. In closing, he again emphasized that the courts must maintain the public's confidence in the competency, efficiency, and impartiality of the courts by prudently managing resources, treating litigants respectfully, issuing decisions timely, and zealously protecting the public's access to impartial courts. After the speakers finished, much of the group enjoyed a reception in the Law Library conference room, where participants were able to enjoy refreshments, mingle, and discuss the topics presented. Mary Leonard Law Society wishes to thank all of the speakers and participants for helping create an enjoyable and educational event! April Courthouse Connection: ELMO has arrived! ELMO, an exhibit presentation system, is the latest technology added to the Marion County Courthouse. During the Courthouse Connection event held Tuesday, April 10, Jim Murchison, Marion County Trial Court Administrator, with technical support from Mike Faber, demonstrated the easy-to-use product. Similar to the old-fashioned overhead projector, the system allows documents and pictures to be projected onto a screen which can easily be seen by everyone in the courtroom. In Jim's words, the system is a portable easel with many more features, including a VCR and DVD player. The system can be connected to a laptop computer, allowing a PowerPoint presentation to be displayed. It can be used for video depositions by simply using an IP connection and web cam. Holding in one hand a small screen controller, the display can be filled with underlining, arrows and highlighting. With ELMO, a litigator's ability to keep jurors focused and ultimately persuaded is not limited by the technology! Two exhibit presentation systems are permanently installed in the courtrooms of Judge Joseph Guimond and Judge Jamese Rhoades. The third system is portable and can easily be moved to a courtroom. If attorneys want to use ELMO during a trial, they need to contact the trial judge assigned the case. In a recent criminal trial, the jury requested and was allowed with the assistance of court technical staff to review the evidence and replay videos during their deliberations. ELMO is an integral part of the court's technology tools. Digital video recording of all court proceedings, wireless access (you can do legal research while listening to your opponent's arguments!) and video conferencing are other technology tools incorporated into the remodeled courthouse. Video conferencing has been used by those who have been called to testify in another jurisdiction. Jim stated that the goal is to create a paperless court and to look for other ways to efficiently handle court business. In four to five years, there will be remote on-line access to court records, and electronic filings will be an everyday occurrence. Rather than build more courthouses to meet the needs of the public, remote electronic access may be the smart business solution. The concept of watching court proceedings via the internet is on the horizon—easily within our grasp. The hands-on event was made even better by the ample quantity of delicious Great Harvest cookies and Starbuck coffee provided by Sherman, Sherman, Johnnie and Hoyt. The next Courthouse Connection will be May 8, 2007, in Judge Claudia Burton's courtroom. 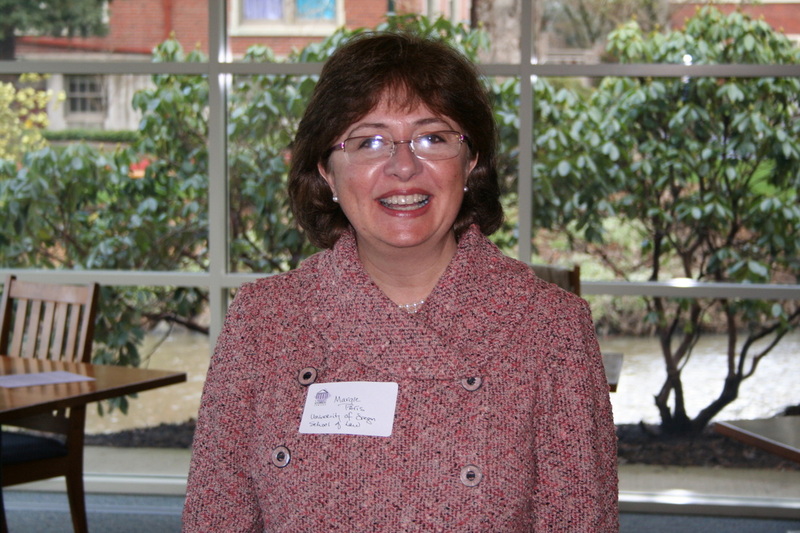 March 20, 2007: Catherine Ciarlo, Executive Director of OWLS, spoke at the MLLS monthly meeting. 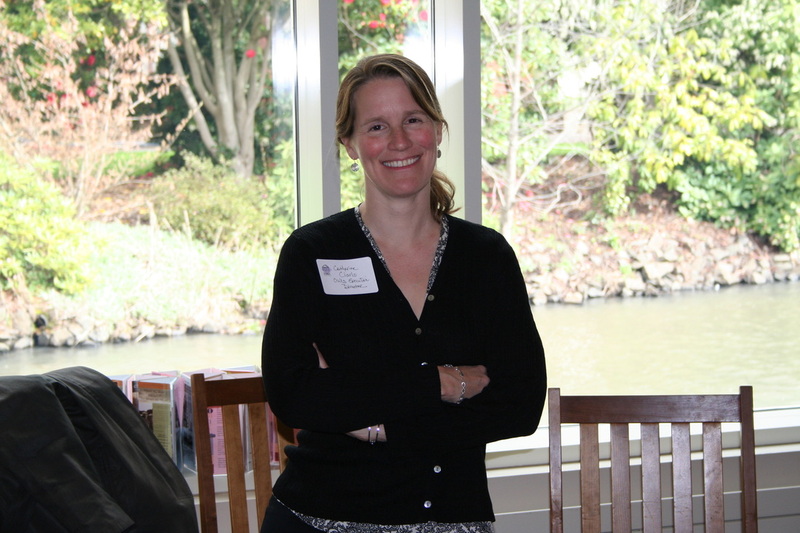 At our March meeting, we had the opportunity to get to know Catherine Ciarlo, Executive Director of Oregon Women Lawyers. Catherine spoke about what brought her to OWLS, what she loves about it, and what she does as Executive Director. Before moving to Oregon for college, Catherine lived in Colorado, and she credits her time in a small Colorado town as fostering her connection to nature and community. She was drawn to Oregon in part because of the strong "outdoor ethic" of the state, which is a value that has shaped her career path. After college, Catherine worked for the Sierra Club in California, where she enjoyed working with smart and passionate people on several political campaigns. She decided to return to Oregon to attend law school at Lewis and Clark, because she believed that law school would help provide her with additional tools to help create social change. After law school, Catherine worked as a lawyer for the Columbia Basin Institute and as the communications and development director for the Northwest Earth Institute. Those experiences shaped her belief that cultural changes happens in groups of people. She regularly saw that belief play out during her seven-year stint as executive director of the Bicycle Transportation Alliance in Portland, where she also learned valuable lessons for gaining acceptance for positive change within the larger community. When Catherine had her second child, she realized that "something had to give," and she spent a year at home with her children. At the same time, she wanted to continue to be able to have a meaningful and effective career. Working for OWLS, Catherine finds that all the elements have come together. Like her previous employers, OWLS is an agent for cultural change, as it works toward integrating women into legal leadership, the bench, and politics. She cited Norma Paulus's observation that, when women are involved in a conversation, it brings a change in perspective -- without that perspective, our institutions have a huge blind spot. Catherine enjoys working with the "motivated, fabulous, intelligent" women of OWLS. She is in the offices 28 hours per week, where she organizes OWLS events, supports and provides information to the OWLS board, and fields calls and questions from members like us. MLLS members were delighted to get to know Catherine, and we appreciate all the hard work she does on behalf of us and all OWLS members. 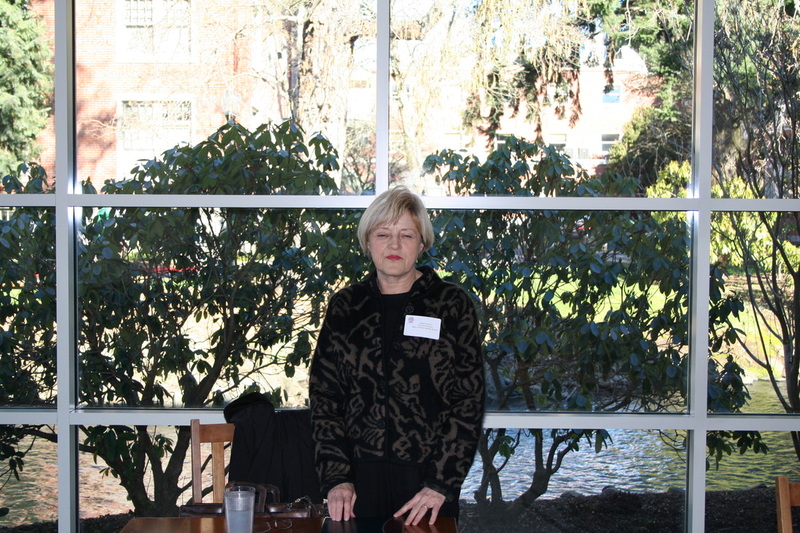 February 20, 2007: Margie Paris, Dean, University of Oregon School of Law spoke at the MLLS monthly meeting. 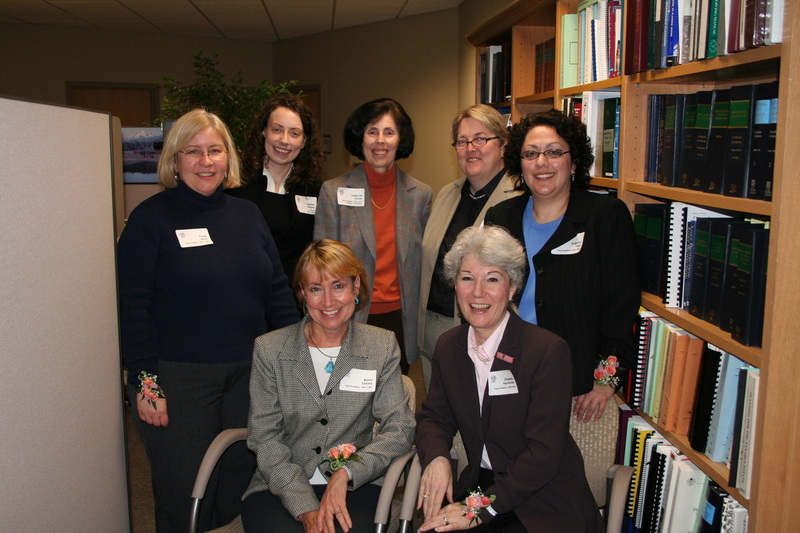 February 6, 2007: MLLS and Willamette Women's Law Caucus hosted an evening panel presentation on "Women in the Law" with Marion County Circuit Court Judge Jamese Rhoades; Gina Ann Johnnie, Sherman, Sherman, Johnnie & Hoyt; and Shannon Raye Martinez, Saalfeld Griggs, PC. 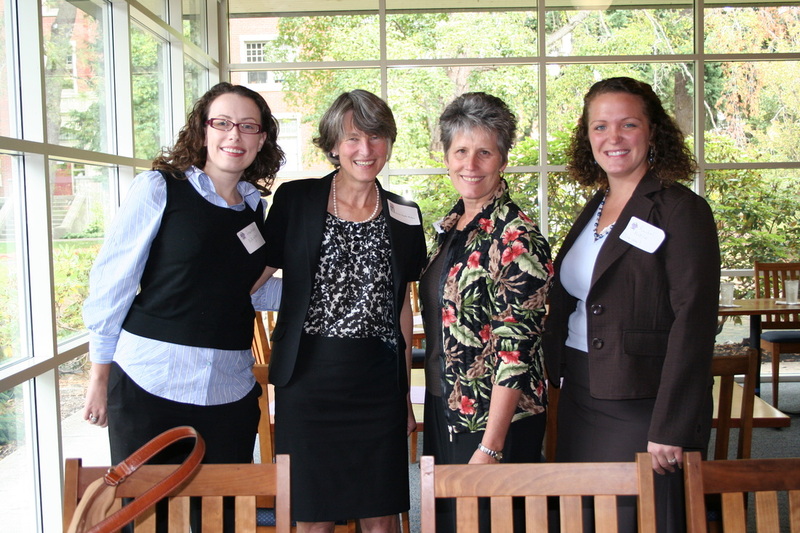 November 21, 2006: Ann Boss, Legislative Counsel, spoke to MLLS on Legislative Counsel's Role in the Legislative Process: An overview of the legislative process and discussion of the office of legislative counsel and its structure and role. Ann Boss was appointed Legislative Counsel on March 6, 2006, after serving as a labor and employment Senior Assistant Attorney General for the Oregon Department of Justice for over eight years. Ann served as Attorney in Charge of the Labor and Employment Section for over three years. 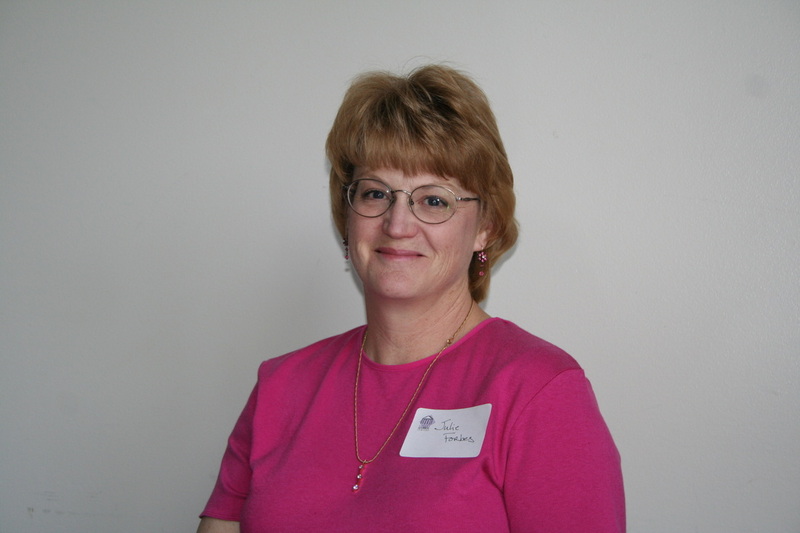 Ann is licensed to practice law in Oregon and in Texas (inactive), where she was initially licensed in 1984. Prior to joining the Department of Justice, Ann was with private firms in Houston and Portland, representing businesses in the areas of employment, business and banking law and litigation. She served as General Counsel for First City Bancorporation prior to moving to Oregon in 1992. Ann has served on the executive committees of both the Labor and Employment and the Business Litigation sections of the Oregon State Bar. November 21, 2006: Ann Boss, Legislative Counsel, discussed the legislative drafting process and the office of legislative counsel. Courthouse Connection continued its tour of the newly remodeled and restored Marion County Courthouse on Wednesday, October 25, 2006, holding the noon hour event in the courtroom of Judge Claudia Burton. Judge Burton, a 1985 graduate of Boalt Hall, University of California at Berkeley and current president of the Willamette Valley Inns of Court, primarily hears criminal and family law matters. She credits her 11 years of private practice in California and Hood River, Oregon with giving her the skills to handle "every type of case that regularly gets tried." Prior to her appointment to the bench in 2004, Judge Burton served as judge pro tem in Marion County and was an administrative law judge for the Workers' Compensation Division and Construction Contractors Board. The court's hi-tech audio system was demonstrated by four-year-old Jimmy Hart, the son of Marion County Judge Thomas Hart, who along with his father stopped in for a brief visit (and cookie!) before going home for lunch. The Mary Leonard Law Society extends a special thank you to the Marion County Bar Association and the law firm of Sherman, Sherman, Johnnie, and Hoyt for their support and refreshments. Judge Burton will again host Courthouse Connection in her courtroom, 3A, at the Marion County Courthouse, on Tuesday, November 14, 2006, noon to 1:00 p.m.
On October 24th, Mary Leonard Law Society held its inaugural luncheon honoring new Oregon Bar admittees at Alessandro's in downtown Salem. 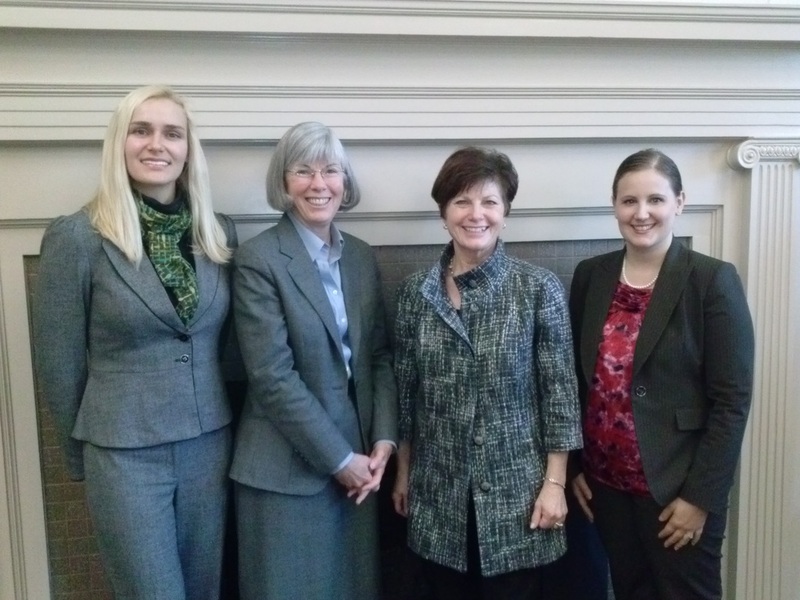 MLLS members and local attorneys were invited to meet the new admittees and welcome them into the legal community. 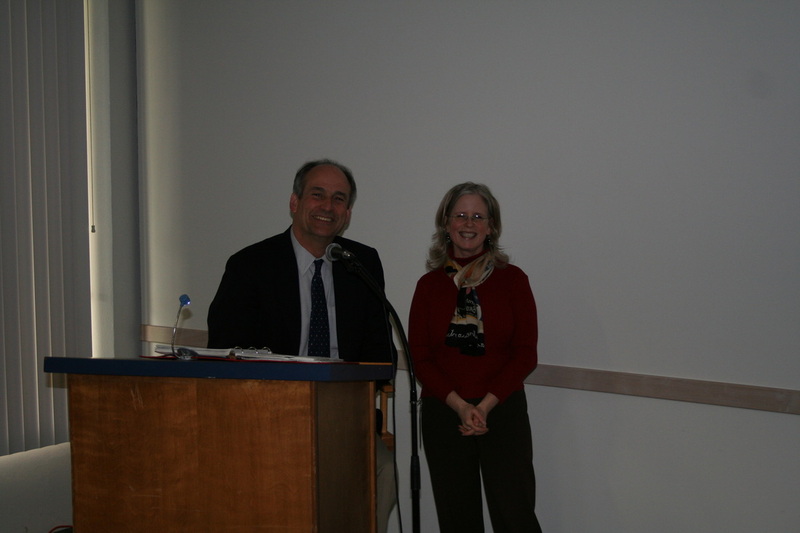 The special guest speaker for the event was Ninth Circuit Court of Appeals Judge Susan Graber. Judge Graber was appointed to the Oregon Court of Appeals in 1988, and to the Oregon Supreme Court in 1990. She was appointed to the Ninth Circuit in 1998 by President Clinton. Judge Graber began her discussion on the topic of “Legal Writing: Who Cares? (Now That I’ve Finished Law School)" with a reference to the book "Eats, Shoots & Leaves: The Zero Tolerance Approach to Punctuation" by Lynne Truss, in which a panda walks into a bar, eats a sandwich, draws a gun and fires two shots into the air. When a waiter asks why, the panda hands him a wildlife manual and says, "I'm a panda, look it up." The waiter does so, and sees the following entry: "Panda. Large black-and-white bearlike mammal, native to China. Eats, Shoots & Leaves." Judge Graber used the reference to illustrate how important the details- and editing without relying on Microsoft Wordare to legal writing. She stated that communication- the power to convey your client's side of the argument through legal writing- is essential to being a lawyer. She cautioned against legalese, noting that there is no reason to use "big words" except to show off. She encouraged the audience to think about its target reader when writing, pointing out that there is a difference between writing to a judge or opposing counsel and writing to your client- and that a letter to a client should be easy to understand. She also encouraged the use of "editing buddies"- someone trustworthy that can read your work and offer useful advice before it is sent out. Judge Graber also took questions from the audience. She was asked the best way to treat contrary authority in court briefs. Judge Graber answered that it is always best to acknowledge contrary authority in legal briefs and memos, and to distinguish it and explain why it should not control the court's decision. When a lawyer ignores obvious contrary authority, it causes the reader to view their other arguments with scepticism- not good when your reader is a judge and you are trying to convince them your side of the argument is right. In addition, if a lawyer fails to discuss negative authority in his or her original brief, there may not be a chance to distinguish it in a reply brief. Another person asked Judge Graber about her opinion on splitting the Ninth Circuit. She laughed that, if the question had been asked earlier, she wouldn't have answered because she had not yet been asked her opinion by Congress, and she felt it might overshadow her current role as judge. However, because she had now been asked that question by members of Congress, she could "go public." She expressed concern that proponents of the split focused on the regional and political differences of the states included in the circuit. She felt that it was important not to create "regional law," like "California law" or "Oregon law," but to keep the law relevant and applicable to all Americans. Judge Graber noted that, although the Ninth Circuit has a reputation for being "the most overturned Circuit," in actuality the reversal rate for the Circuit was on par with the country's other Circuits. We thank Judge Graber for helping to make the luncheon a success, and we look forward to making it an annual event! "Reflections from the Terra Cotta Tower"
At our September 19 meeting, we had the pleasure of welcoming the Honorable Wallace P. Carson, Jr., as our speaker. Justice Carson often speaks about the Oregon courts and topics related to the judiciary, but on this occasion we asked him to tell us "all about Wally." Justice Carson was born and raised in Salem in a family active in law and politics. The "law side" of his family included his father and two aunts, one of whom was one of the earliest women to graduate from Willamette (and who, coincidentally, worked in the Supreme Court building as an assistant attorney general when the Department of Justice was located there). With the exception of his active duty in the Air Force, all of Justice Carson's legal and political career happened on State Street. Perhaps presaging that he'd be connected to the building, Justice Carson witnessed the capitol burning (according to his family -- he was much too young to remember it!) and later sat on the axe of the golden pioneer before it was hoisted to the top of the rotunda. While practicing law at the firm his grandfather founded, Justice Carson was a member of both the Oregon House and the Senate (not simultaneously). As a legislator, he was on the “decorating" committee for the state capitol, but cast a dissenting vote when it came time to pick the colors of the carpeting. When he was appointed to the Marion County bench, his mother was delighted -- until he told her about the statute that prohibited him from putting her on a jury. Justice Carson moved east on State Street when he was appointed to the Supreme Court. There he learned about working within hearing of the nearby train tracks; trains pass next to the Supreme Court Building as often as 28 times per day, generating a decibel level higher than that allowed by the City of Salem for rock concerts. Justice Carson was elected Chief Justice by his colleagues three times. He stepped down as Chief at the end of 2005 and will retire from the court at the end of 2006. He will be missed. Justice Carson has supported Oregon women lawyers and the advancement of opportunities for women and minorities in the legal profession throughout his career. To recognize his support, MLLS presented Justice Carson with a certificate and check to Family Building Blocks, a child abuse prevention program serving high-risk children and families in Marion and Polk Counties, another worthy organization that Justice Carson has also supported through the years. At the Mary Leonard Law Society Summer CLE on July 18, 2006, Justice Rives Kistler reviewed the first year of the United States Supreme Court under Chief Justice Roberts with humor and unique insight. As a former clerk for Associate Justice Lewis Powell, he commented on the "cult of personality" that has developed around the modern-day Court. When Justice Kistler was a clerk, he was told the story of Justice Stevens, who attended a White House dinner, and was seated next to a reporter. At one point during the dinner, the reporter after talking about himself at length turned to the Justice and asked, "So John, what do you do?" Today, he notes that there are many blogs opining about the Court, its activities, and its personalities. Justice Kistler began his review by reminding the audience that the U.S. Supreme Court decides particular cases, not issues, as an adjudicative body. To make his point, he noted that there were three cases that were reheard after Justice Alito joined the Court, indicating that he was a tie-breaking vote, and Justice Alito sided with the government's position. That said, he observed that, in adherence to a particular ideology, Justices Roberts and Ginsburg are the most likely to move away from their respective "sides," and Justice Kennedy is now the Court's swing vote. The most important cases decided this year, in Justice Kistler's view, were criminal cases. He discussed Hudson v. Michigan and Randall v. Georgia, which related to the exclusionary rule for evidence obtained in questionable home searches. He also reviewed Sanchez-Llamas v. Oregon, a decision which involved participation by several people attending the CLE. The decision affirmed, but on completely different grounds, an opinion of the Oregon Supreme Court, in which Justice Kistler had participated, and which was argued before the Court by Oregon DOJ attorneys who attended the CLE. The Supreme Court declined to apply the exclusionary rule where a foreign national's right to contact his consulate was violated. Further, Justice Kistler reviewed Kansas v. Marsh, in which the Court held that, in a death penalty case, a tie between aggravating and mitigating circumstances goes to the stat - and imposition of the death penalty. Justice Scalia wrote a "nuclear" concurrence, in which he chastised those who opposed the death penalty as undemocratic "finger-waggers." Finally, Justice Kistler discussed Davis v. Washington and its evaluation of testimonial evidence. Regarding civil cases, Justice Kistler began with Hamden v. Rumsfeld, in which a prisoner from the Taliban was held at Guantanamo Bay. Justice Kennedy agreed with the majority that the prisoner should be tried by a panel that more closely resembled a court-martial than a military commission, noting that military commissions are not independent, have no procedures for review, and have less stringent rules of evidence. A plurality of the court also contended that such a prisoner should be allowed to know the evidence against him. To close the hour, Justice Kistler talked about Rappanos v. US, in which the Court decided that the EPA could not expand its jurisdiction to a ditch in which water flow was intermittent. The decision was made 4-1-4, with Scalia writing for the plurality against expansive jurisdiction, and Kennedy concurring based on a "significant nexus" test with the intent of the enabling legislation. These cases, asserted Justice Kistler, are just one sign that Justice Kennedy will continue to be a swing vote on the Court in the future. The Mary Leonard Law Society extends a very special thank you to Justice Kistler for sharing his insights and his continuing support. Lights, Camera, Action...It wasn't a Hollywood movie set, but for those attending the Courthouse Connection on July 11, 2006, in the newly restored Marion County Courthouse, there were many special effects. Sunlight brightly cascaded through the wall of windows above the oak paneled judge's bench in Marion County Circuit Court Joseph Guimond's courtroom, bouncing off the pale colored walls. The special technology features of the courtroom, including the new JAVS [Automatic Court Documentation System] with its five cameras which project images to a laptop conveniently placed on the bench, were proudly demonstrated by Judge Guimond. With the excellent courtroom acoustics and strategically placed microphones, Judge Guimond has no problem hearing and recording the litigants and witnesses. The judge's bench next to the witness stand was specially designed to give Judge Guimond a clear view of the witness. 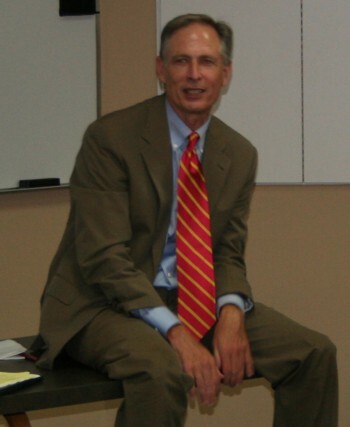 During his more than ten years of judicial service, Judge Guimond, a graduate of Willamette University College of Law, has presided over many headline cases, such as the challenge to Measure 36, described as a constitutional ban on gay marriage, and the guilty plea of former State Representative Kelley Wirth. While the future controversies to be resolved in Judge Guimond's courtroom are unknown, those who do come will find a well-respected jurist and functional courtroom ready to serve the public. The next Courthouse Connection event on Thursday, September 14, 2006, in the courtroom of Judge Mary James, will be another chance to see more of the remodeled courthouse. Please join us. A special thanks to the Marion County Bar Association for the Starbucks coffee and cookies!